10:23 PM, Friday 7 October 2016. Rhonda joined me. Previously, I had selected some show pieces in SkyTools. Albireo, a double star, in Cygnus. Lovely colours. She wanted to know the distance, fascinated by the distance-history aspect. About 430 light-years away. We talked about types of doubles. She pointed to the south-west asking if the three stars were Orion's Belt. Good try, as the spacing and alignment was similar. Nope. That was Altair of Aquila. Forgot (again) the names of the other two stars. [ed: Tarazed and Alshain!] Reminded her that the Belt stars are equal in brightness. Ring Nebula, Messier 57 (M57), in Lyra. Smokey faint ring. A dead, dying star. 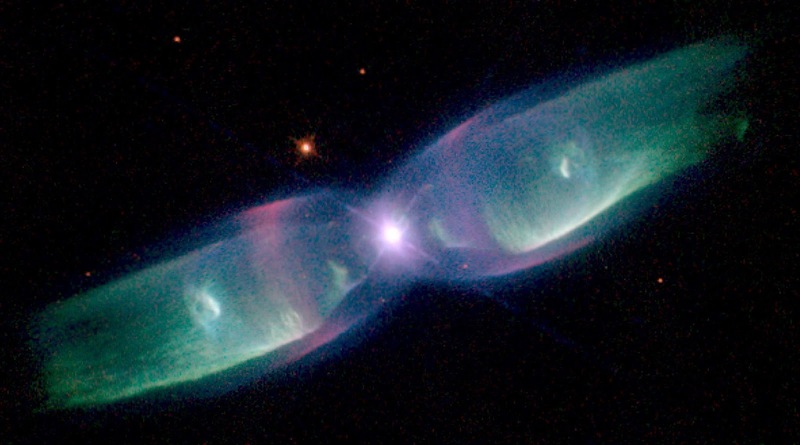 2300 light-years. We increased the power. Not perfectly round. A globular cluster, Messier 15 (M15). Nice! 42 000 light-years! In general, they live above and below the plane of the galaxy. Some have tens of thousands or millions of stars. Imagine the sunrises and sunsets! The Double Cluster, two open clusters, between Cassiopeia and Perseus. Loose associations of stars. A much smaller number of stars. Generally close. And within the disc of the Milky Way. 4600 ly. Perseus looked like the Eiffel tower. The Garnet Star, an orange-red variable star, in Cepheus. 6000 ly. A long-period varying star. Initially, I could not see the Cepheus figure. Ah. I had to rotate my perspective. Used my laser pointer to illustrate constellations. It worked very well (for a change). We talked stellar colours. I emphasised it was primarily an indicator of temperature. Age is a factor but initially it tells us surface temperature. She understood the scale. We heard then saw some geese fly directly overhead, close. Eerie. Their bellies were glowing. They looked green! Could easily hear their wings. They were heading due east. Toward the train station... How do they know which way to go? 11:09 PM. Rhonda went to the house for a coat. I shared some details of UX Dra. Faster period. 168 days. Dimmer. Talked about naming conventions and the short-sightedness of astronomers. Variable stars. And comets are good examples. Neptune time! Slewed but had to check SkyTools. Realised I was not on Neptune. Got it. Four hour light time. Talked about gas giants. Tried to spot Triton. Not good conditions. Bonked the hand controller and the mount moved. Gah! And didn't bother going back. Talked about why Pluto got booted out. Strange orbit: highly elliptical and highly inclined, not unlike a comet. We talked about the thirteenth zodiacal constellation, Ophiuchus. How astrologers were busy scrambling to make new predictions. We talked about hidden forces. Like dark matter and dark energy. Magnetism. Birds navigating by the stars. Ratios. da Vinci. Cosmic rays. I thought of complexity theory and Fibonacci numbers. I talked about how the recent gravitational waves detection is like opening up a door. Beautiful math and elegance in nature. We talked about interests when we were young. Her family knew Prof. Rick Crowe. How the Apollo lunar landings affected us. Star Trek. 12:14 AM, Saturday 8 October 2016. Checked the conditions on the Oregon. Clouds, humidity 79%, was 80%, 15.9°C, now 16.3 (close to the computer), now showing rain... Rhonda noticed no wind. Talked about SETI. Distributed processing. The Drake equation. That I'm convinced will we discover life in the galaxy. We considered distances. Vast distances. Space is big. I talked about the millennium ship concept. Or that we have to crack the light barrier. And while that seems out of reach, we've made extraordinary technological progress. Voice interactions with computers, for example, kinda freak me out. Bruce Balick (University of Washington), Vincent Icke (Leiden University, The Netherlands), Garrelt Mellema (Stockholm University), and NASA/ESA. Showed some photos. Ring Nebula in colour. Planetaries. Their bi-polar structure. Almost organic. Talked about my interest in double stars. I spotted the Pleiades! The Subaru. The Seven Sisters. She could see many stars. More than 7. Wow. Fantastic distance vision! A lollipop. I put it in the centre of the finder scope. Nice view. 490 ly. Messier 45 (M45). And then the main 'scope, just a handful of stars. The constellation Andromeda was overhead but I couldn't see the galaxy... We looked at some galaxy photos. Spirals. We talked about the Andromeda Strain book and movie. 1:13. Rhonda headed in. I declined her generous offers to help. There was a bit of dew on the corrector. Tried to using the 12 volt hair dryer but it leaves a lot to be desired. Packed up items needed for the house. Zipped up the north doors. Closed and zipped the roof! Ha! Neat. Very neat. After a couple of attempts, put the fly on and secured it. Even darker inside! Power off. Moved things off the floor that I did not want to get wet. Zipped up the east door. Fun. I think she enjoyed that.